Caring for orchids can seem intimidating. After all, you have probably always heard how delicate they are. We bet you novice growers out there are always impressed when you see someone managing to keep their orchids alive. 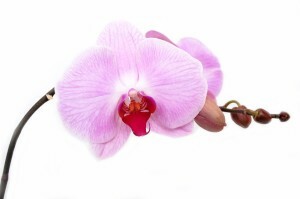 But caring for an orchid and maintaining it’s beauty isn’t as difficult as it may seem. All you need are the proper resources to help you navigate through your orchid care journey! American Orchid Society: The American Orchid Society’s mission is to promote and support the passion for orchids through education, conservation, and research. Their website is filled with tons of information for beginners and experts. They also feature a helpful orchid glossary as well as an index of common orchid species! Orchid Web by Orchids Limited: Orchids Limited shared answers to the most frequently asked questions which range from basic orchid care to treating common orchid diseases. Besgrow: Besgrow, our parent company, shares tips and techniques for growing orchids and other plants with the help of our products, Orchiata and Spagmoss. Their website also features helpful testimonials from customers sharing expert tips you can try at home! Our Blog: In case you haven’t already guessed, we also share helpful information for orchid growers! Our blog highlights helpful tips for novice growers as well as product guides for expert growers. Be sure to also check out your local orchid society for local news, events, and tips. Can’t find what you’re looking for? Send us a note on Facebook and maybe your question will be featured in a future blog post! © Copyright 2019 Acadian Supply, Inc.